When we're as blessed as we are to live in a country with such fantastic and diverse natural beauty, it's hardly surprising so many of us like to enjoy it to the full by going camping. Of course, to properly enjoy a camping vacation you're going to need the right gear. But while tents, groundsheets and camping stoves or a trailer can all be seen as necessities, so is the right vehicle to get them to the campsite in the first place. If you’re still trying to decide which vehicle is the right one to buy for all the outdoor adventures you have planned, look no further than the 2017 Toyota 4Runner. Camping in the area around Fort Collins means you and your family can enjoy some of the very best outdoor recreation Colorado has to offer just steps from your tent. You can spend your day hiking, mountain biking, kayaking, canoeing, fishing or even offroading, and then you can just kick back and relax next to the warm glow of a camp fire as you take in the glory of the Colorado night sky. 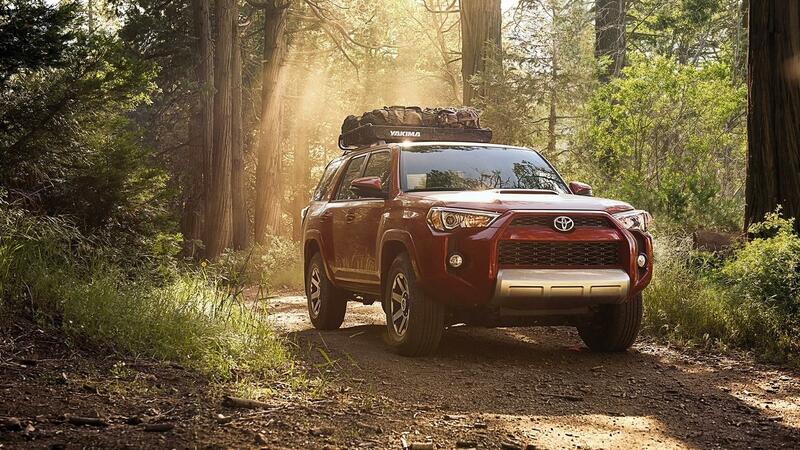 It really is up to you where you go camping with the 4runner, literally! The tried, tested and proven body-on-frame construction has helped the 4Runner conquer the off-road environment for more than three decades and counting now, so if any vehicle can get you where you want to be it's the Toyota. You can reach even the most remote corners of the Rockies with the available Crawl Control and Multi-terrain Select features. But even if you're planning on staying somewhere more civilized such as Fort Collins Lakeside KOA, North Wellington KOA or Poudre Canyon KOA, it's nice to know the 4Runner has you covered for all eventualities. Lots of vehicles offer plenty of internal space for stowing your gear, but the 2017 Toyota 4Runner goes above and beyond with a number of features that deliver ultimate utility. Easy access your gear is as desirable as it can be essential, especially if you come across some less than ideal weather. When you've got the 4Runner’s outstanding utility features, such as the 40/20/40 fold-flat second-row seat and the available sliding rear cargo deck, power rear glass and third-row seat, you'll wonder why any outdoor adventurers choose anything else. Even though you can get a lot of people and gear inside the 2017 Toyota 4Runner, you're not limited to what you can cram in the vehicle. That's because you can always choose to take extra fun or even accommodation with you as all versions of the Toyota boast a maximum towing capacity of 5,000 pounds. Whether you want to tow a trailer for extra sleeping accommodation, a boat, bikes or even an ATV, the 4Runner's 4.0-liter DOHC V-6 and its 270 horsepower and 278 lb.-ft. of torque has got it covered. And you can rest assured this is a vehicle designed with towing duties in mind as every model comes standard with an integrated towing hitch receiver and wiring harness with four and seven-pin connectors. For more information or to schedule a test drive in the sensational 2017 Toyota 4Runner, give the folks at Pedersen Toyota a call today. The stunning scenery around Fort Collins isn't going anywhere, but you could be when you get behind the wheel of this go-anywhere, do-anything SUV.